Hockey Opportunity Camp (HOC) respects the Personal Information Protection and Electronic Documents Act (PIPEDA) by maintaining the privacy of our campers, their families, our clients as well as our staff through the implementation of the following policy. Provide Recourse: organizations are to inform clients and employees of how to bring a request for access, or complaint, to the Privacy Officer, and respond promptly to a request or complaint by the individual. Personal information is collected in order to assess the eligibility of an individual client (camper) or staff member for our program. We use the information collected to group campers by age or experience, and to ensure that cabin groups comprise an appropriate mix of individual camper needs and personalities. Personal health information is collected to ensure the highest level of care and safety when a child is in our care. Personal banking information is collected for the purpose of receiving payments for goods and services provided. First and Last names of award winners are published in our yearly newsletter, and hand written on Tournament Boards displayed onsite in the Rec Hall. All information collected by Hockey Opportunity Camp will be obtained voluntarily from our clients and will not be mislead in anyway as to the reasons for collecting such personal data. All collected information is obtained in order to provide the highest quality of service possible. Only employees who need the information to perform a specific job (billing, health care, child supervision) are granted access to a client’s for the purposes set out within this policy. Any paperwork disseminated to a staff member is appropriately shredded and disposed of once it is no longer required. Personal health information is stored for a maximum of 28 years by Hockey Opportunity Camp. Current legislation requires medical information pertaining to a client (child), be stored for a minimum of 10 years (15 years recommended) after the child turns 18 years old. We use an outside credit card processing company to bill users for goods and services. This company does not retain, share, store or use personally information for any secondary purposes beyond filling your order. HOC does not share any personal information with any outside service providers except in the case of emergency. If for some reason the need arises to do so, every effort will be made to contact families for permission before doing so. 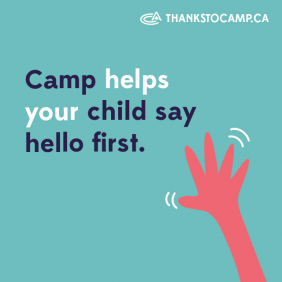 Hockey Opportunity Camp communicates with our clients, their families as well as our staff about HOC’s programs, upcoming events and latest camp news. Clients and their families have the ability to opt out of receiving this type of communication. This can be done by personal management of their family portal, unsubscribing from electronic communication or by contacting the office via written communication (letter or email). Personal information is never sold, or used for any purpose other than HOC marketing / communication purposes. We take precautions to protect your personal information. When you submit sensitive information via our website, your information is protected both online and offline. Wherever we collect sensitive information (such as personal information / credit card data), that information is encrypted and transmitted to us in a secure way. You can verify this by looking for a closed lock icon at the bottom of your web browser, or looking for "https" at the beginning of the address of the web page. We may store your data on servers provided by third party hosting vendors with whom we have contracted. These vendors have been qualified and are industry leaders in data management. Security technology called SSL (Secure Sockets Layer) is the standard security technology for establishing an encrypted link between a web server and a browser. This link ensures that all data passed between the web server and browsers remain private and integral. SSL is an industry standard and is used by millions of websites in the protection of their online transactions with their customers. This security measure is used by all HOC hired third party vendors, ensuring secure data transmission. While we use encryption to protect sensitive information transmitted online, we also protect your information offline. All paper copies are stored in locked offices/cabinets in a secure location. Hockey Opportunity Camp uses a camp management software solution called Campsite. Families will create an account on the Campsite Parent / Staff Dashboard which will allow individuals to manage their entire camp experience online. Families can enroll their children, complete online forms, view your balance, make a payment, view invoices and manage all personal information. Staff candidates will be able to create an account, apply online, upload all necessary employment documents and manage their personal information anytime.